Some of you may know that I'm a Google fan. I love Google. There was a time when I worked with a product manager from Google Singapore to improve Google Maps. But you know, everyone has imperfections. I don't have love for all Google products and services. I know, i know, it sound like breaking up. It's almost the same anyway. Here are some reasons I had in mind. It is very simple and boring. Simplicity is really good but a time will come when you will want to achieve simplicity with a little bit complexity. It is fun and you'll be thrilled. In this case, I'm learning more about SEO and social media, Blogger does not have enough tools for me to do that. I can't control URLs, meta data, and other factors that may contribute for our site to rank higher. I don't enjoy programming in the Blogger platform. I understand how the template can be done or modified in Blogger. I even made a responsive blogger template. But it's still very limited. It feels like I cannot unleash the true Ninja within me when I stay. Blogger is not PHP, it is not Android. WordPress allows me to enjoy more of PHP programming or Web development. I'm disappointed with Blogger themes, tools or plugins. I think this is because programming with the blogger platform is something developers hate. 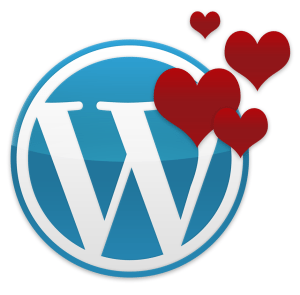 WordPress plugins and WordPress themes has thousands of useful items you can choose and developers are actively contributing to it because of this little thing called love. I forgot some of the reasons why I left blogger, but I'll add it here once I thought of it. You might also want to add yours, just drop it in the comments section below! Blogger is the very first blogging platform I love. It is very easy to set up, free, hosted by Google and can get you started really well! It is the reason why my Google Adsense account was approved. Seriously, do I really even need to have a list for this? Okay, I'll just make it quick since I feel like my brain is shutting down right now. Really easy to manage posts. Writing features are really great especially the distraction free writing mode. Makes your site a lot faster. Well, it depends on your hosting server, if you have a high traffic site, a VPS might suit you well. Themes and plugins. I'm really amazed with a lot of beautiful themes (free or paid), and very useful plugins WordPress can offer - for your site's visual design, SEO, and more! More control. With a self-hosted WordPress site, you have more control over your data and how they can be used. Enjoyment. Developing a website or any app with a programming technology or language you know is such a joy. You can do more and feel more productive in everyday of your life. Even though switching to WordPress cost me few bucks, that's really okay. It was covered by my income from my Adsense account, speaking engagements and private tutor services which I was able to do through the discovery of my blog. So that's it for now guys! If you want to add something to my list, feel free to drop it in the comments section below, I'm willing to update this post for you! I'm shutting down and need some sleep now, Good night! Blogger or wordpress it doesn’t matter. The site is neat besides I came here for your content. That is my ninja way. Hello, I must say your site is neat and really informative. Just came across it today and its already bookmarked on my browser. Great job!